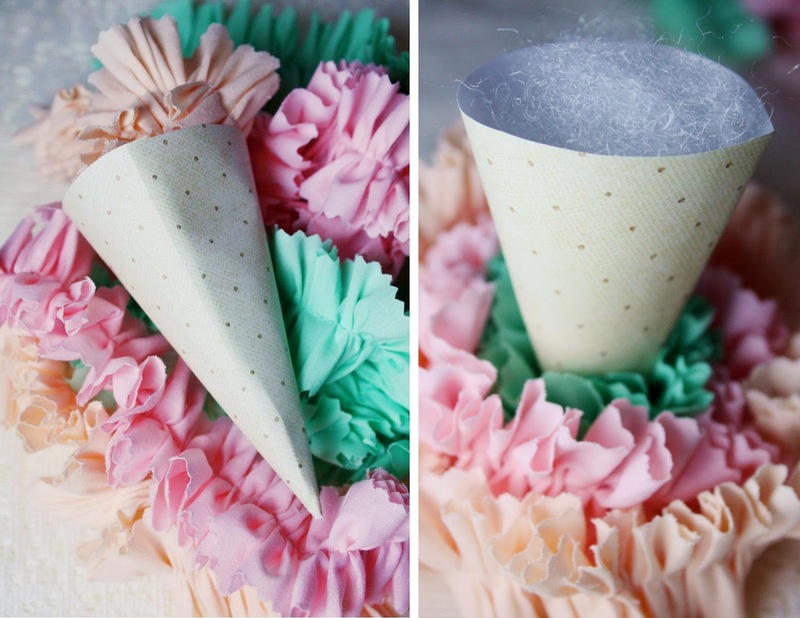 We are so excited to share this diy with you, if you are planning an ice cream party believe us these are just the sweetest things to let each child take home with them! 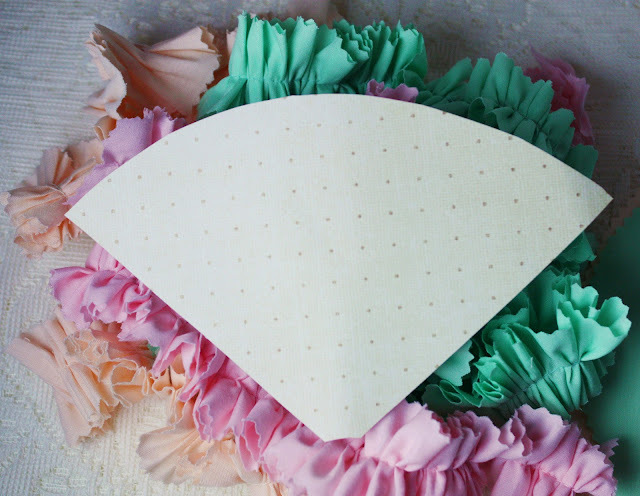 Our amazing diy correspondent, Katie came up with this project for us and we just fell in love! We ended up hanging pink, peach and mint green ones from a white chandelier and the looked so cute and really added to the decor of the party! The little girls just adored them and were so excited when we let them have one! Most of them put them around their necks and pretended they were ice cream necklaces, it was so cute! These look SO EASY! I'm going to pass this on to my niece who is having an ice cream sundae party Thursday. LOVE these!! Thanks for sharing them with us!! Adorable!! SO Adorable! I am going to feature these on my site tomorrow!! Love these! Thank you so much sharing them! Am definitely going to give these a try! Just wanted to stop by and say how much I love these, saw them on Pinterest and had to share the love. These are just adorable! Thank you for your cuteness! Beautiful idea and so adorable! I love these! 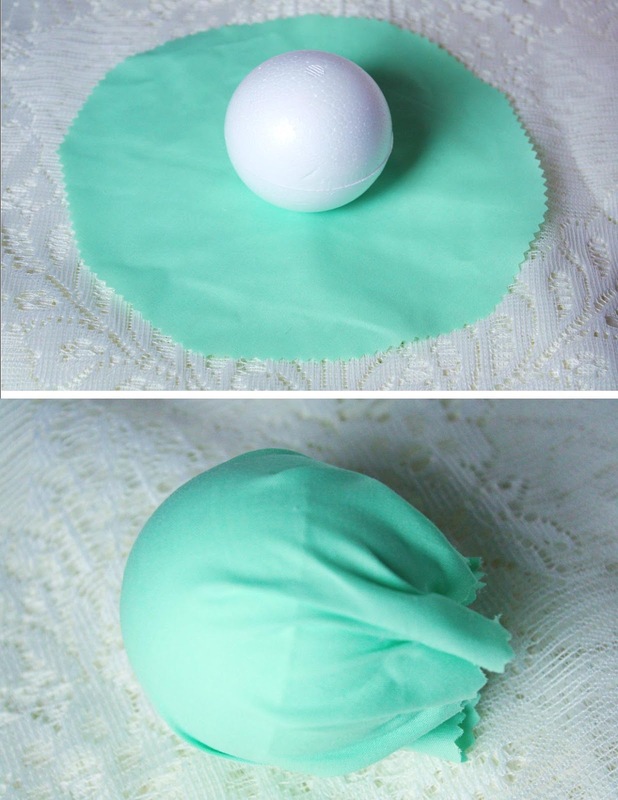 :) I think the only thing I might try differently is using polyester stuffing or scrap material to stuff the ice cream ball since the styrofoam balls might end up being a little expensive after a while. Thanks for the inspiration! 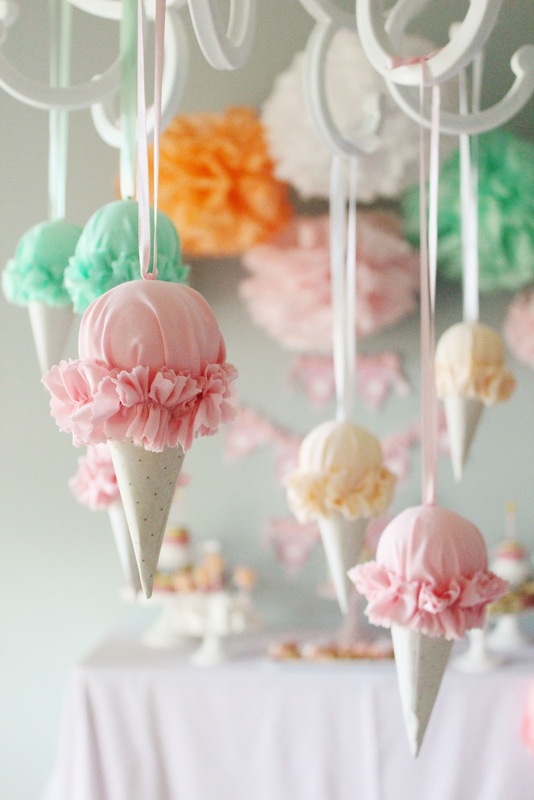 What an cute accessory for an ice cream party. 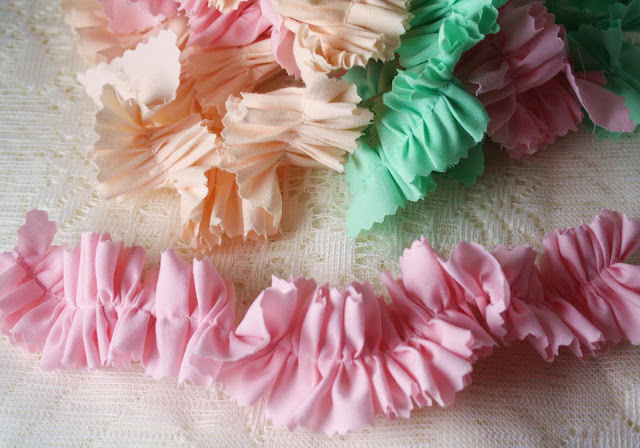 I love how you made the ruffle. 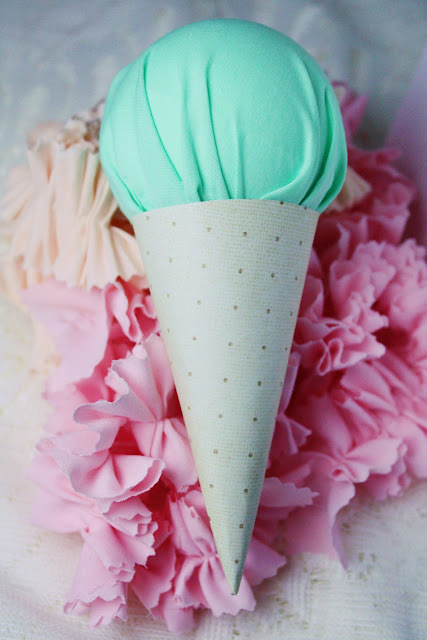 I might have to try making double scooped cones. these are amazing! my girls are going to love this crafting project. My sister owns an ice cream store and would love these! What a cute idea! I found you on pinterest, and I'm featuring you as my pinterest pick this week at my Friday Favorites Party! What a cute idea! I have to make these for my daughter's upcoming birthday party! Looks so cute, can't wait to try this. Thanks for the ideal. Saw these shared on Facebook, and immediately fell in love! Kudos to Katie! Really cute! Double sided tape might be a good idea for the cones. ADORABLE!! Great idea - thanks!! This DIY is absolutely amazing! These are too stinkin' adorable! I'm so pinning this, thanks for sharing! Similar to ones for sale on Etsy at Sugarbaker and Toad's shop. These are adorable! Can't wait until I have a grand daughter to make these! So adorable, I just added an ice cream cone banner to my store. I am going to add a link to your diy, for my customers. Thanks for posting such a great diy. It's so pretty and easy to do, but I really don't know where to get styrofoam balls. These are the most darling thing I've seen in a good long while! These are adorable! I bet they would look cute in a baby's room too, depending on the theme. Holy smokes. These are precious beyond words. I just love them. Will be sharing them on my blog or facebook soon if that is okay??? You've been featured on DECOdeniquo, since this amazing content was one of the inspirations of the latest post. Love this! I am pinning this. Thanks for sharing. My friend meagan told me to check out your blog and here I am really glad that I visited it. Thanks for this great DIY. These are so cute! I saw this via Craftstorming, and I pinned it:o) Thanks for sharing! Looking like real ice cream cones. This is cute for bedroom decor, classroom decor, anything.... Not just parties... I love it! Oh em gee! These are so so cute! This looks super cute and I can't wait to try it out! I love this idea, thank you for sharing. I will be trying these out. Oh my gosh.. cutest thing ever!!! 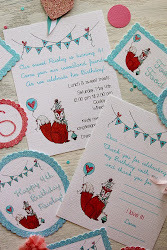 These are simply darling, I want to make them! Thanks again, and please, keep up the adorable crafts! I love these! This is how I'm spending my day today, thanks! My son will love this idea because he loves ice cream so much! 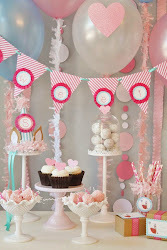 Enjoy the party of entertaining you and other may be the festivals of celebrating birthday party you can enjoy it at this blog read it :- For all kind of event as well as occasions it is making important things all princess party toronto possible enough. The new as well as perfect or worth of facts about Toronto Magicians is that they are coming of age, helping all kind of party requirements to get fulfilled. I am going to be making these for a baby shower. I was wondering, for the amount of fabric that you have listed, how many cones did it make? Thank you for sharing. This would be great for a birthday. جهاز إنذار الحريق هو أحدث الوسائل الأمنية التي تستخدمها شركات الحراسة، وهو جهاز يقوم بإصدار إنذار صوتي في حالة حدوث حريق، حتى يتم إخلاء المكان والتفرغ لأعمال الإطفاء. فهذه الأجهزة تكتشف حدوث الحريق، وتعطي إشارة لتشغيل صافرة الإنذار بالجهاز، حيث يرسل الجهاز نبضات إلى لوحة المراقبة التي ترسل إشارة ضوئية وصوتية. Wonderful diy tutorial.I like it. This is really helpful. I’m still waiting for some interesting thoughts from your side in your next post.